Yasiel Puig is one of the most gifted ballplayers in the game. He's an All Star outfielder, a potential MVP candidate and an fan favorite throughout the league. 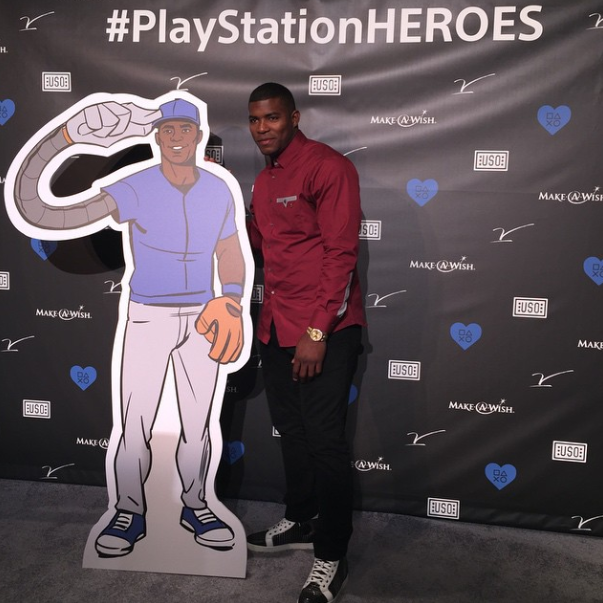 Puig is also an active gamer, and will soon grace the cover of this seasons MLB15 video game. So, it shouldn't be a surprise that he has been tapped to join Sony as a PlayStation Hero. What exactly is a PlayStation Hero, you ask? Hi PlayStation Nation! 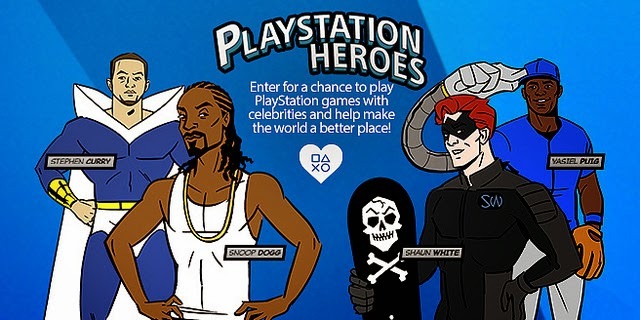 I’m extremely excited to announce PlayStation HEROES, a brand new initiative that will give PS4 owners the chance to play celebrities and professional athletes in the games of their choosing, with nearly all funds raised going to charity. This is not a one-time event – gamers will get the chance to challenge celebs every month. Winners will play some of the biggest PS4 games with cultural icons from the sports and entertainment worlds, online via PlayStation Network and in person. Here’s how it works: PS4 owners will purchase and download digital themes and other items via an official PlayStation HEROES app, with each dollar spent providing you with a sweepstakes entry to win one of the celebrity gaming sessions. Ninety percent of the purchase price of those items will help aid some amazing charitable organizations including Make-A-Wish, The USO and The V Foundation for Cancer Research. To celebrate PlayStation HEROES and kick start our support for these incredible causes, we’re donating $100,000 to each charity. That sounds like a great program, and for a lucky few a once-in-a-lifetime experience. I can't imagine how fun it would be to play Puig in MLB15. I wonder if he'd let me be the Dodgers. Anyway, this evening Sony kicked off this new program with a star-studded event in New York City during NBA All Star weekend, and Yasiel Puig is in attendance to meet a cartoon version of himself. After all, you can't be a video game hero unless you are animated. Check him out in the below photo. Yup, that's him as an robotic-armed superhero. Best yet, Sony has a fun cartoon of PlayStation Hero Yasiel Puig and his fellow cohorts - Stephen Curry, Snoop Dog and Shaun White. Watch it below. BTW, the app will be available for download on the PS4 on February 24th, but you can pre-order starting today. Photo at the very top via Puig's instagram.